Summertime Fabric FunThe weather in the Bay has been gorgeous. We’ve already had a few heat waves, but it’s pretty much perfect everyday. And with Memorial Day right around the corner, it really is feeling like Summer! So how can we bring that outdoor feel inside to brighten up our home environment? Not everyone can redecorate their entire space to get the outdoor feeling on the inside… meaning a new sofa in a light linen, a jute rug, rattan chairs, distressed coffee table, fun toss pillows, and coral models throughout the room. At least I know that I can’t! Without storage for my old pieces and an expendable budget, I look for alternative ways to lighten up my space through new, brighter fabrics. Extra Extra… Read All About It: Non-Flame Retardant Sofas Are Now IN!!!!!! Well, the day has finally come when the old, out-dated laws about flame retardant foams have changed. 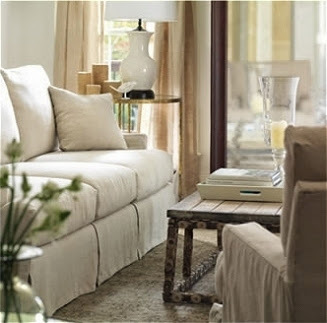 It took a long time for the furniture world to catch up to other departments out there in the eco-friendly, non-toxic updates and conversations, but we don’t need to wait any longer.In fact, we actually have 3 out of 5 upholstery companies that are already compliant with flame retardant free foams, with our last 2 due to be up to date by July of 2014. Dining rooms take on many forms — from spacious rooms to nooks off the kitchen. No matter the size or style of the space, a dining room is meant to be a place to gather with family and friends for everyday meals and/or special occasions. Yet creating your perfect dining room can be intimidating. We understand. We know it can be a difficult process. We are here to help.And just in case you’re wondering what we are talking about, this blog is all about interior design, tips, ideas, and how we at Rockridge Furniture & Design will be able to make your liveable space, well, AMAZING! Whether you’re starting out in a new home, re-decorating a new space, or just adding the finishing pieces to your room, more often than not it can become a stressful situation.